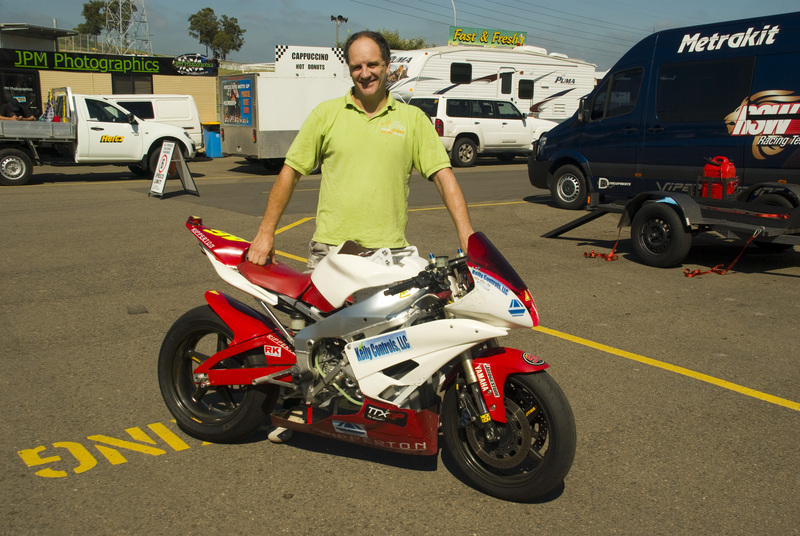 With the 2012 Australian Electric Racebike series fast approaching Daniel Sailer unveiled the latest modifications to the Ripperton R1 Electric Superbike at Eastern Creek International Raceway this weekend. For 2012 the Ripperton R1 is fully liquid cooled, boasting two large radiators mounted either side of an intricately engineered 7.5kW Lithium Polymer battery pack. To say that this bike is a work of art is the ultimate understatement. Daniel has worked extremely hard to ensure that every part on this machine is the lightest, functional and most reliable component available at the time of building. As well as looking amazing, this also means that the machine weighs in at 141kg. That's a whole 40kg lighter than a dry R1! The workmanship in this machine alone is astounding. Given that the battery pack weighs 50kg, the whole chassis, including motor and all electric components only weigh 91kg. True testament to Daniels' minimalist vison for his creation. Daniel was crazy enough to offer me a ride on the machine. First impressions, this bike feels 'very' light. Looking at the tiny motor, I was skeptical about how powerful such a small motor could be. Five seconds later my 'ev grin' was back with a vengeance. There is no doubt about it. This is a motorcycle. Acceleration is continuous and the motor supplied an amazing amount of torque for the size. Daniel has consistently been designing with the removable battery system in mind. The new pack, which will be the third iteration of his quick swap design, is a completely removable unit, similar to a conventional battery power tool. Having the battery removable in this way means that the racer can swap battery packs in approximately fifteen seconds. 'This would get the rider half way around the Isle of Man circuit, making a pit stop at Sulby Bridge. Not having to carry the full load would mean that the rider could take advantage of the lighter machine over the course. 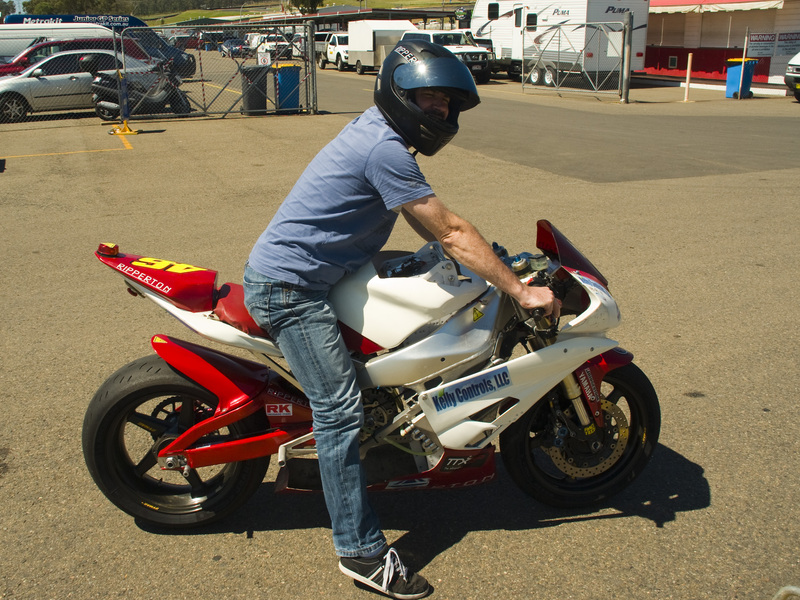 The bike could be ridden faster to offset any time penalty for the swap." Daniel said. One major lesson that was learned in the 2011 racing season was the importance of keeping these motors cool. With an effective cooling system the motor can be run over three times as hard without any problems. A 12kW motor with a good liquid cooling system becomes a 40kW motor with increased reliability. Heat is definitely the enemy of the electric motor. Keeping it cool increases the performance considerably. 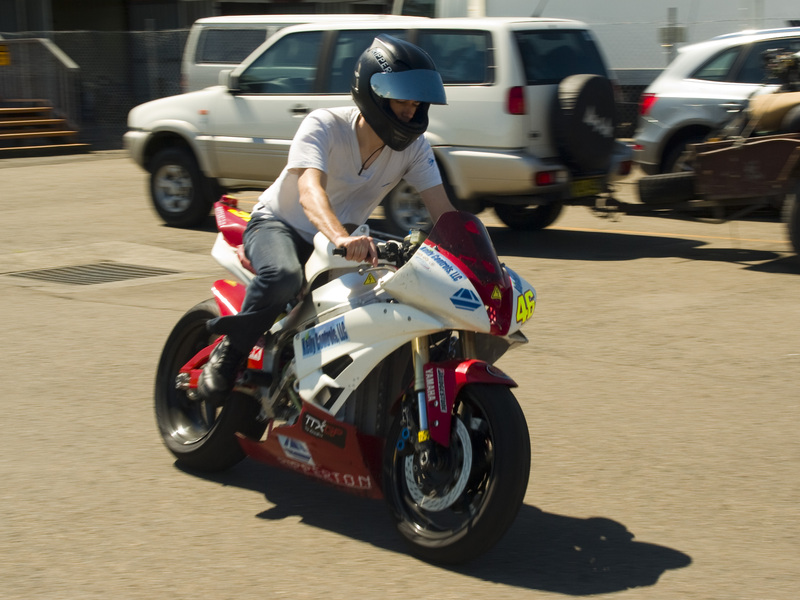 For more information about the Ripperton R1 Electric Superbike you can visit the Ripperton R1 build thread on DIY Electric Car. Last edited by evmotorcycle; 17 March 2012 at 1800. Some photo's I took and were taken on my camera. I can say now I have ridden all three bikes from last years TTXGP/eFXC in Australia, this was/is the most sorted bike of them all. Last edited by SplinterOz; 17 March 2012 at 1941. Very Cool. Now time to go racing!!! WOW. A 15 second 7.5kwh pack swap. Now THIS is gonna change the whole game. Pit stops. Thanks for posting this. Can you give us some sources for the story and photos so I can credit them in my own posts, please? 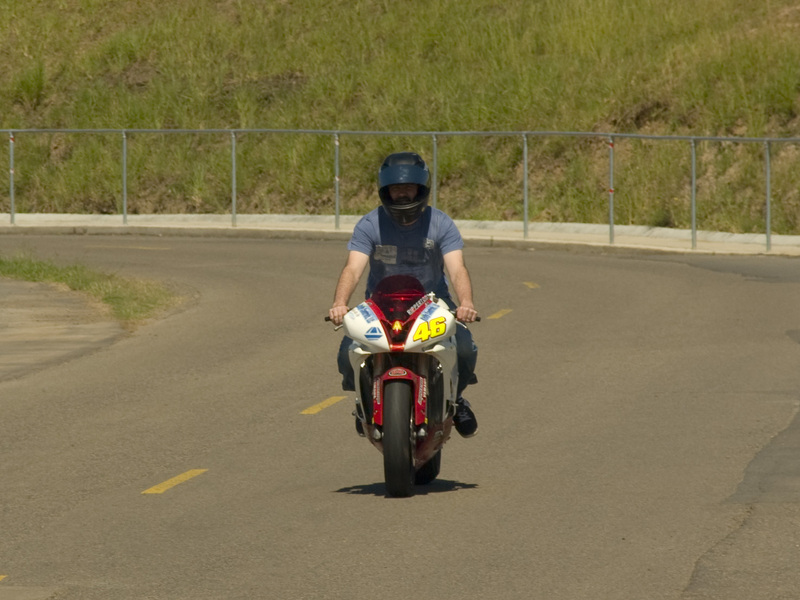 Photos in the first post by evmotorcycle comes from here... http://evmotorcycle.org/drupal_evmotorcycle/ ... Andy did the story and is working on a documentary on elmoto builds. The next set of photos are mine. Danny has done some really clever stuff with the battery pack and water cooling, remember this is the bike with the 70 odd hp on the dyno and I can tell you that after riding it you know it is quick. Based on Danny's measurements and on mine with the water cooled motor I would say a doubling of continuous power is possible with forced air cooling and at least treble with water cooling. Yes you can quote evmotorcycle.org for the story. The photos on the article are by myself (Andy Marsh) and the other images are by splinterOz. Yea I think that was the old pack as well.. new one has quick release and not bolts. Thanks, post updated. Great work, Andy! I think it could use a headlight and a license plate. All times are GMT -7. The time now is 1202.